You will have...an only child! You are destined to have 1 kid. You can't fathom the workload of more than one kid and you want to make sure you have the tie and energy to shower that little one with the attention and love he/she deserves! 2 kids is the perfect number for you! You will have your hands full but luckily your two young ones will be able to keep each other occupied! You've always dreamed of having a big family, well you will indeed have a big one. 3 kids! Some people don't have children in the cards and you're just one of those people. Never fear, I hear dogs make great kids! 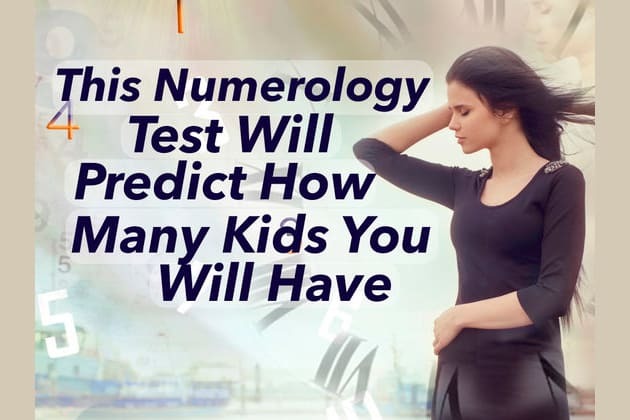 Numbers have the power to predict your future, it's true! Ever wonder how many kids you will have? Or maybe you won't have any kids at all! Take this test to find out!